Katelyn Schneider walks into Hastings and eyeballs the shelves of young adult fiction on her left, a section of the store that she knows well. Names like Stephenie Meyer, Ellen Hopkins and Suzanne Collins are spelled out along the bridges of these novels. Schneider hasn’t reached the level of literary stardom these other authors have achieved, but at only 17 she can call them her collegues. Young adult fiction, aimed at a largely teenage audience, is generally written by middle-aged women. Schneider, a junior at Spokane’s Shadle Park High School, stands out among these authors. While she’s gained some footing in the publishing world, getting into the business wasn’t easy. When she was still in middle school, Schneider worked on her first full-length book, Tweaked. Only 13 upon completing the novel, she fought to get her work to readers. Searching for an agent, working on query letters, developing the perfect elevator pitch, submitting her story to publishing companies and driven by her family, Schneider was willing to do whatever it took to be an author. “With her first book, she did an amazing job getting out there,” explains John Williams, the marketing director at Inkwater Press, an indie publisher based in Portland. Mightily impressed not only by her “wonderful writing style” but her amazing dedication, the company published her first story in 2010, shortly before her 14th birthday. Along with many readers, they were captivated by the suspenseful and surprisingly romantic tale of the kidnapping and rescue of a young girl named Mickey. 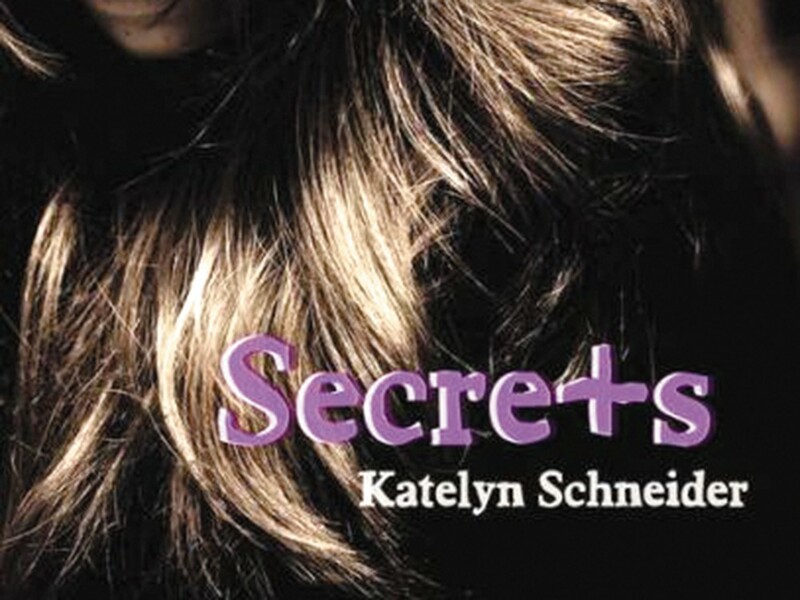 Last November, Schneider released Secrets, the first installment in her latest series about 17-year-old Victoria Laine’s struggle to get some excitement in her life and her relationship with the mysterious Nick Avery. The publication of Tweaked and Secrets may be the result of the relentless drive of a teenage girl, but the success of the books lies in Schneider’s abilities as a writer. An advantage Inkwater Press saw in her writing compared to that of other young adult authors was her age. “She is the demographic; therefore, she has a more unique view,” says Williams. Two books underneath her belt, Schneider isn’t slowing down her pace. Daily, she puts herself through a one-hour writing regimen. She’s working on three projects simultaneously, in addition to her pressing school schedule and a part-time job at a local grocery store. Seeds of scenes pop into her head constantly, and new characters pester her until she writes their stories. “You can have the best book in the world, but if no one knows about it, nobody is going to read it,” says Schneider as she looks over at Hastings’ YA section. “Persistence is key,” she emphasizes. It’s this dedication and drive that has put Schneider’s books on the shelves over on her left. From attending conferences to scheduling book signings, Schneider has put herself at center stage in the world of indie authors. Her work has been read across the country, receiving favorable reviews. At just 17, she’s become an accomplished writer – something that takes many people a lifetime. Her work sits on the same shelves as many successful and popular young adult books. “My books are actually right over there,” she says, pointing to a nearby shelf.